SC judges elevation row: Collegium still opaque under CJI Gogoi or is this an aberration? CJI Ranjan Gogoi-led Collegium’s decision to overturn the elevation of Justice Pradeep Nandrajog and Justice Rajendra Menon to the Supreme Court and instead recommend fresh names has triggered uproar in sections of judiciary. Former Delhi High Court judge Justice Kailash Gambhir has written to President Ram Nath Kovind seeking his intervention, and called the Collegium’s decision “appalling and outrageous”. ThePrint asks: SC judges elevation row: Collegium still opaque under CJI Gogoi or is this an aberration? The image of the judiciary is being tarnished due to these decisions. There is a complete disregard for ethics. The decision to recommend a junior judge and overlook 32 senior judges is quite astonishing. This could be because the judiciary is now taking instructions from the government or something else is at play. In any case, this seems to be a deliberate weakening of the pillar of judiciary. They seem to be implying that the credibility of the 32 judges who were superceded is doubtful. This is a matter of immense embarrassment for those senior judges. Just because the government has been given the power to recommend doesn’t mean it shouldn’t be thoughtful, or that they don’t need to back their decisions with good reasons. It was a year ago when Justice Ranjan Gogoi, along with three other judges, held a press conference suggesting that there are serious problems in the functioning of the judiciary. They had implied that then CJI Dipak Misra could not be trusted. Shouldn’t he be holding himself to the same standards now that he is the CJI? Sanjeev Khanna too should realise that all the senior judges are his brothers and he should reject the offer in order to be just towards his brothers. 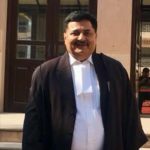 The collegium has recommended the name of a judge whom they deemed fit to be a Supreme Court judge. This is entirely the prerogative of the collegium led by CJI Gogoi. Ultimately, the CJI is the head of the judiciary and it his duty is to ensure the wheels of justice never face hurdles. His decision to recommend Sanjeev Khanna to be elevated as an SC judge doesn’t lead to any such hurdles. However, if we have to question, we must question the very idea of the collegium recommending judges to be elevated. The National Judicial Appointments Commission was proposed to be constituted to serve this very purpose. But since that was declared unconstitutional and the collegium was upheld, their recommendation should be considered final. The other judges can protest and raise objections, but it has already been established that the collegium can consider whatever it is they want to while making their decision—this could be merit or other factors like seniority. Either change the collegium system, or take their decision as final. Now that they have made the recommendation on whatever basis, it is for the government to choose as they like. Ignoring the claim of seniority of certain judges and promoting a relatively junior judge is not entirely new. It has happened several times in the past as well. But, I believe that the collegium also records the basis behind their decision. 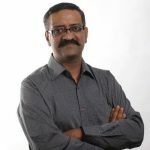 There must be some reason behind why Sanjeev Khanna has been recommended. They must have deliberated over it before coming to the decision. But the problem arises because of the lack of transparency. Since the reasons behind the decision never come out in the public domain, it leads to a lot of confusion and conjecture. This is a massive problem. We must also remember that the collegium system isn’t necessarily constitutional, but was devised by the Supreme Court. Efforts were made to come up with an alternative system, but the collegium system was the only one upheld by the Supreme Court. There has been a lack of transparency in the SC, and it is only continuing under this CJI. The government and the SC need to discuss the memorandum of procedure and update it. There have been instances when the SC has interfered in the appointments that were to be made by the executive and weren’t even under the judiciary’s purview. But they were concerned about the credibility of the appointments being made and expected transparency. Similar transparency is expected from the SC. The manner in which the CJI-led collegium has come to this decision is highly deplorable. It suggests a casual attitude towards following procedures. 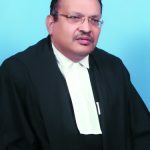 The decision that has come out of the 10 January meeting stated that the call taken on 12 December to elevate Justice Pradeep Nandrajog, Chief Justice of Rajasthan High Court, and Justice Rajendra Menon, Chief Justice of Delhi High Court, was not in consultation with other judges and hence was reversed. This is quite abominable and not the most suitable explanation. It was the duty of the CJI to consult other judges before coming to a decision. 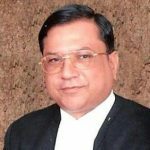 Now, the call of recommending Justice Sanjeev Khanna and Justice Dinesh Maheshwari has been undersigned by the five judges of the collegium including the CJI and hence should be considered final. That said, this doesn’t mean that the two justices whose names were previously decided, cannot be recommended now. There are five vacancies in the Supreme Court. A minimum of two names has to be recommended, so more than two names can, of course, be recommended by the collegium. Justice Pradeep Nandrajog and Justice Rajendra Menon are senior judges and their names should not be disregarded. After it came to power in May 2014, one of the first things that the Narendra Modi government started working on was a law to replace the ‘opaque’ collegium system of appointments to the higher judiciary with the National Judicial Appointments Commission (NJAC) Act. The law received near-unanimous support in Parliament, with MPs across party lines expressing concern over the ‘pick-and-choose’ manner in which judges were being appointed. India is the only country, a senior minister said during the debate, where judges appoint themselves. The Bill was passed, it received the necessary legislative support in the states and the President signed it. Within months, a Constitution bench of the Supreme Court struck down the law as being unconstitutional, with just one – Jasti Chelameswar – dissenting with the majority view. Three years later, it seems that the Modi government and Parliament were right in their assessment of the collegium. The collegium system has failed. 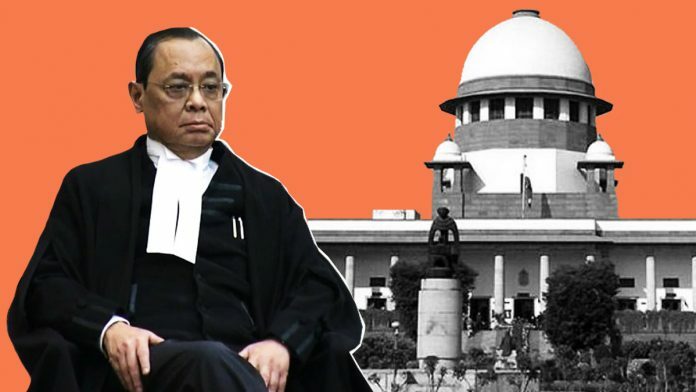 The ironical thing is that this fact is being reinforced under a CJI – Ranjan Gogoi – who, many had thought, would usher in a new era of transparency in the working of the collegium. Instead, under him, the decisions of the collegium have only brought the focus back on how there is no real mechanism to decide which judges are appointed to the highest court of the land. As if this wasn’t enough, the decision of the collegium is also being viewed as “unjust and improper”. 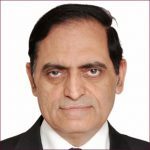 That the judge over whose candidature the latest controversy had erupted would be in line to be the Chief Justice of India only makes matters worse. Previous articleDisinvestment target met only once in last 10yrs: No takers or was Modi govt too ambitious? Next articleDoes sedition law apply to JNU & Assam cases or is it being used as tool to stifle dissent?